I really don't have all that much to say about this book. But, hey, I'm reviewing it anyway. It's readable - the concepts are presented in a logical fashion, the material inside is interesting, it's not filled with goofy illustrations. If I had to pick one book that I thought was the best introduction to chaos magic that was currently in print, I'd choose this one. 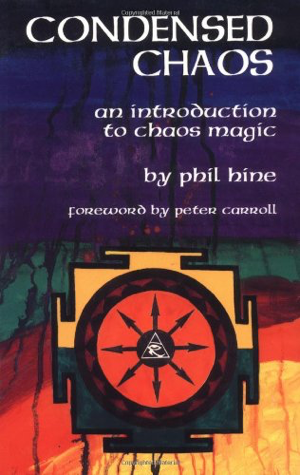 I'm sure there are arguments for Carroll's books, for other author's works, but I'm sticking with Phil Hine. 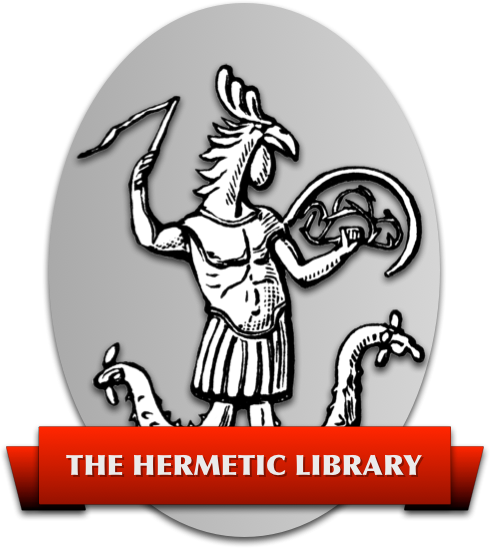 Ten chapters, appended by a reading list, contain most of the information that anyone learning about chaos magic would want. Whether chaos is magic, or if it's just random; why people practice magic in a world that is increasingly scientific; what a magician is, and what s/he does; the D.R.A.T. (discipline, relaxation, attention, transformation) formula for magical working; specific information on chaos magic, on chaos servitors, and on ego magic. There's a chapter on evocation, which is well worth reading and an excellent introduction to the topic of why anyone would evoke a godform in the first place. Finally, there is information on self-examination and personal transformation. The book does contain specific instructions for ritual and meditation, exercise, relaxation, etc. Even absolute beginners will get something out of Hine's book. Well worth reading, even if you aren't interested in chaos magic.